Imagine being able to awaken your spiritual energy and to experience and enjoy the many benefits of meditation almost immediately. Sahaja Yoga, while sharing many of the fundamentals of traditional meditation techniques, is unique because of how quickly it can help you achieve self-awareness. It is even possible to attain Self Realization almost right away. 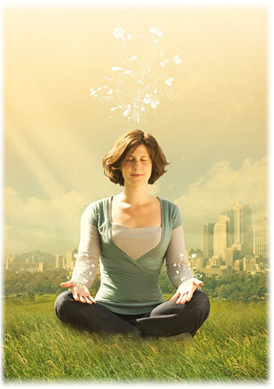 Many people who practice Sahaja Yoga Meditation actually had a physical experience in their very first session. Whether you have a physical experience your first time, or not, you will feel calmer, more relaxed and better focused every time you meditate. Try it and see. Once you start, there are many levels to Sahaja Yoga, varied and deep, that can help you understand more about yourself – from health to spirituality. We call this “awakening your inner self” and in doing so, you gain personal power, awareness and control. In Sahaja Yoga Meditation, “we become our own masters.” Sahaja Yoga is simple to learn and easy to practice – an introductory class lasts under an hour. You can practice on your own for about 10-20 minutes, once or twice a day. Like many things, practice will improve and enhance your experience allowing you to enjoy even greater benefits.